This is a pattern which you can use in any project. 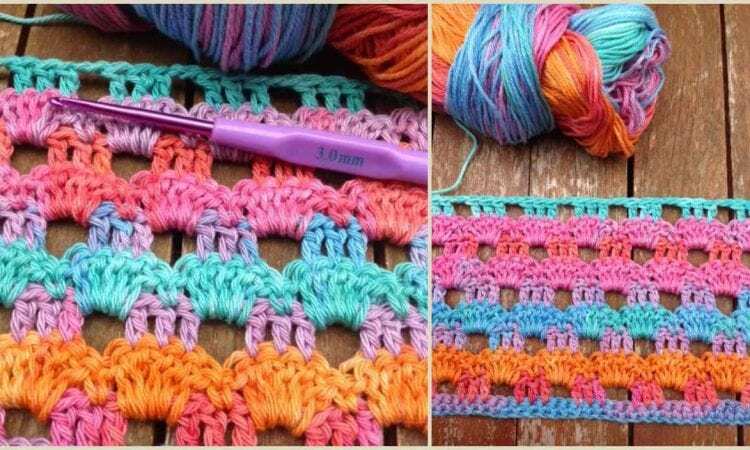 You can make this easy pattern into a shawl, wrap, blanket, but you can use it in other projects as well. Anywhere, where you want to build up a surface with an interesting texture that is also amenable to playing with different color combinations. Don’t forget to share your work in our Facebook Group. The link to the pattern is below. Perforated Wrap Shawl – visit the free crochet pattern site.